French Drains – Norman Oklahoma, Oklahoma City, Sprinkler Installation, Sprinkler Repair. CMG Sprinklers and Drains, 405-226-0629, cmgsprinklers@hotmail, NOW ACCEPTING CREDIT CARDS! Its been a busy week for CMG Sprinklers and Drains. We installed a Sprinkler System in Norman, a French Drain in Midwest City, a Sprinkler System near Lake Hefner, a French Drain in Moore, along with multiple Sprinkler Repairs in Central Oklahoma. Its getting hot already. I hope it won’t get too hot this summer. If you spend all your waking hours dragging hoses around to keep your lawn looking great, Consider a Lawn Sprinkler System by CMG. Your lawn will look great, and you will have to decide what you are going to do with all the time that you were spending moving your sprinkler around your yard. Before I had my Sprinkler System Installed, I would water one spot way too much and another not nearly enough. French Drain Installed in Moore. CMG also provides expert Sprinkler Repair. Servicing Central Oklahoma including: Oklahoma City, Norman, Moore, Edmond, Midwest City, Del City, Yukon, Mustang, Blanchard, Newcastle, Purcell, and all surrounding areas. CMG Sprinklers and Drains – 405-226-0629 — solves residential and commercial drainage problems installing: French Drains, Channel Drains , and Surface Drains. We also specialize in sprinkler system installation and repair. Free Estimates 405-226-0629 — Now Accepting Credit Cards. 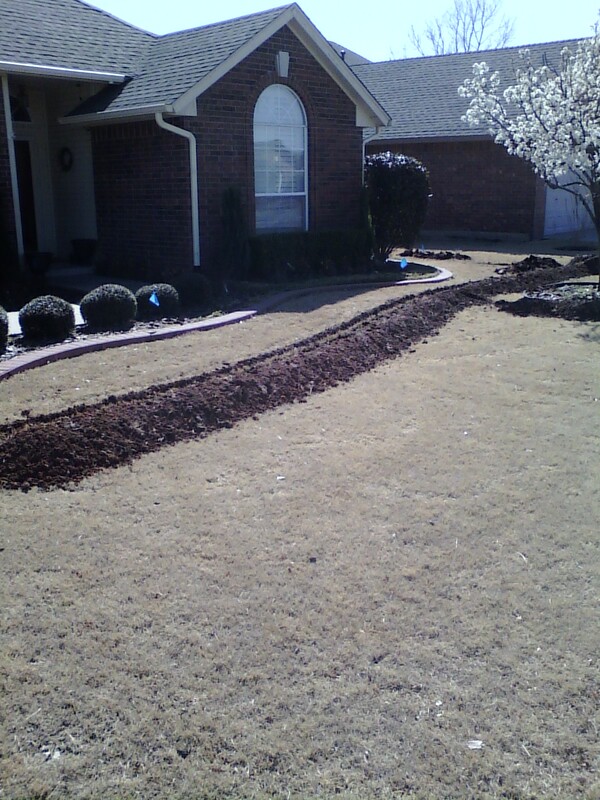 Edmond Oklahoma Sprinkler Repair, French Drain, Drainage Systems . Sprinkler System, Sprinkler Repair, Oklahoma City, French Drains, Edmond, Norman.